According to the Daily Mail, bystanders and shoppers ran from the outlet as the protestors gathered, with some wearing red t-shirts. 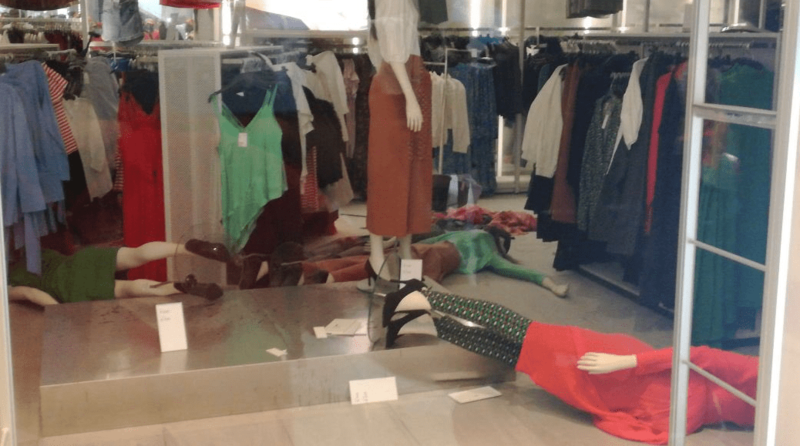 In videos posted on social media, some are seen pulling down racks and wearing clothes from their shelves and throwing them on the ground. The affected stores are reportedly closed until further notice. Clothing brand H&M is dealing with the first major PR nightmare of 2018, with people outraged over a particular hoodie. Some have branded the Swedish retailer ‘racist’ after a green jumper had the phrase, ‘Coolest Monkey In The Jungle’ written across the front and a black child wearing it. While the mother of the boy has told people to ‘get over it’, it hasn’t stopped people across the world calling H&M all the names under the sun. 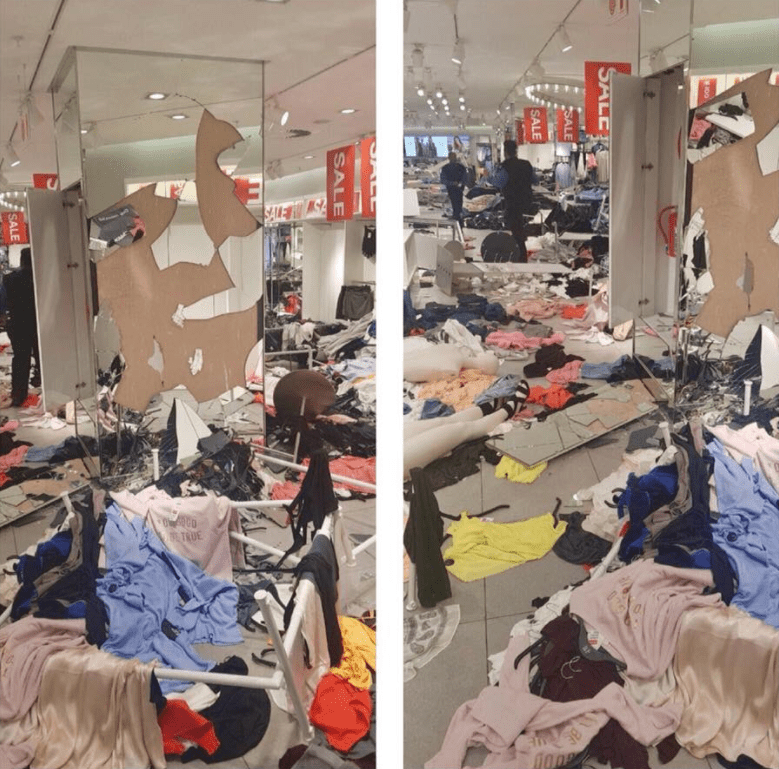 But people in South Africa have taken their outrage a step further and have absolutely trashed at least four H&M stores.